Manchester United midfielder Paul Pogba has topped the Power Rankings for a fourth week running. 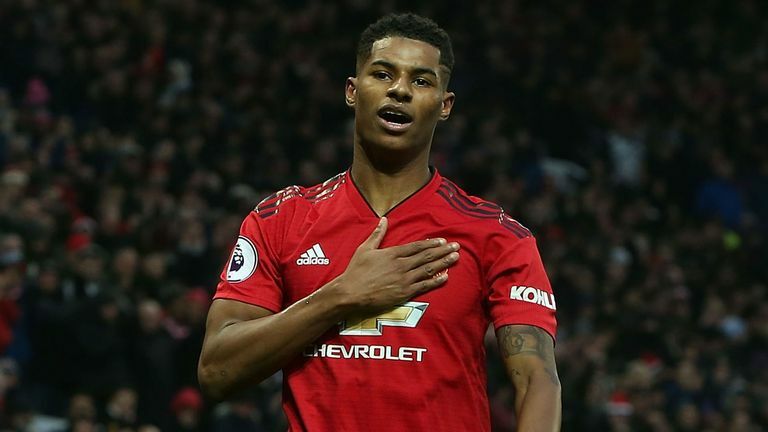 The France international won and converted a penalty midway through the first half against Brighton - his fifth goal in as many games - before Marcus Rashford (No 2) doubled the lead with an audacious strike. Highlights from Manchester United's 2-1 win over Brighton in the Premier League. Manchester City defender Danilo (No 3) claimed the opening goal during a 3-0 win at Huddersfield after his long-range effort took a wild defection off Christopher Schindler - in addition to recording a match-topping 120 touches and six tackles. Team-mates Leroy Sane (No 9) and Raheem Sterling (No 10) also got on the scoresheet at the John Smith's Stadium to cement their places among the top 10. Liverpool narrowly retained a four-point advantage ahead of City atop the Premier League table after a 4-3 win against Crystal Palace, with Mohamed Salah (No 4) scoring twice and Roberto Firmino (No 7) netting his ninth this term. Meanwhile, Southampton's James Ward-Prowse (No 5) scored for the second successive game in a 2-1 win over Everton, while Newcastle 's Fabian Schar (No 8) soared up the chart after netting twice in a 3-0 win against Cardiff. Why not add Paul Pogba to your team?